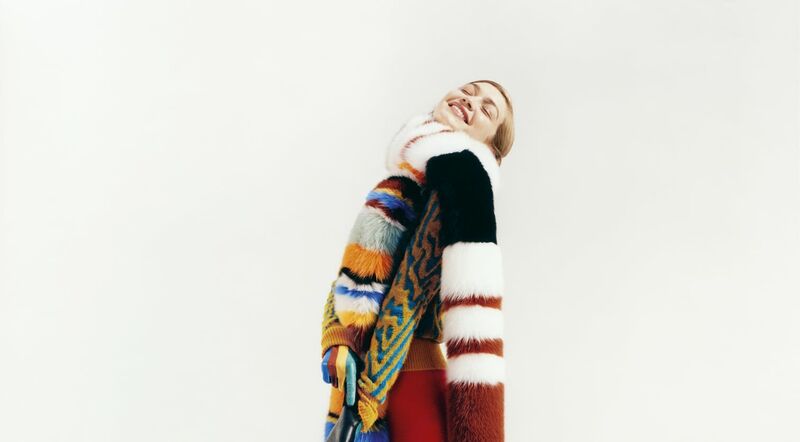 Missoni’s Winter 2017 campaign has been shot, under the creative direction of Angela Missoni, by photographer Harley Weir. 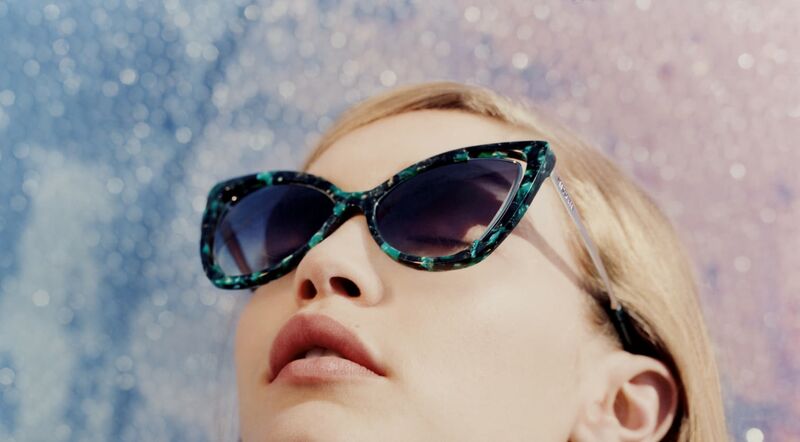 Featuring Gigi Hadid, the campaign is set in the surroundings of Angela’s home in Brunello, Italy, overlooking Monte Rosa - which becomes the driving force in the background of these statement images. 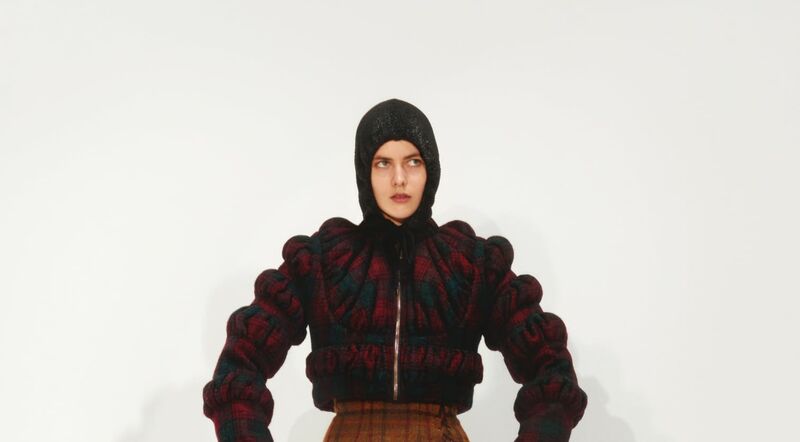 Missoni’s images are a continuation on the theme of female empowerment, identity and freedom to be, as previously demonstrated at the Winter 2017 fashion show in Milan during which Angela Missoni made an impassioned speech calling for unity and fearlessness in the fashion community, particularly in these times of relentless domestic violence and continuous challenges threatening women’s rights. 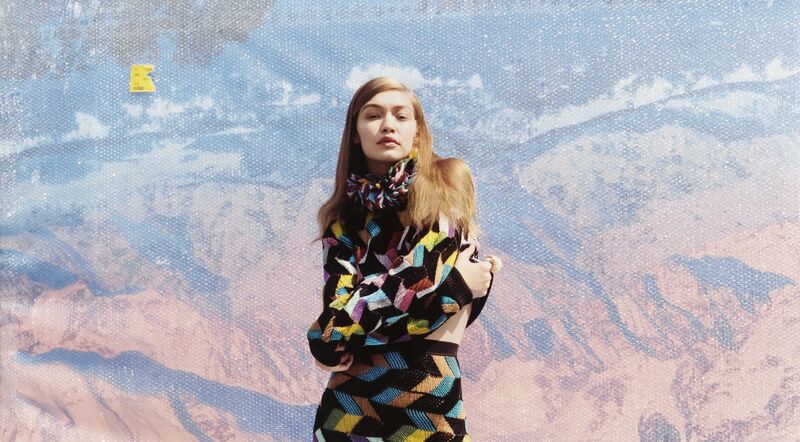 Slim, sensual and iconic designs from Missoni’s Winter 2017 collection bring into singular harmony banded and trapezoidal patterns, checks and macro space-dyes, monochromes and exclusive technical elaborations, while celebrating a freedom in combining and superimposing the lively colors, warm textures, proportional lines and alternating lengths which are the protagonists of this season’s campaign. Under the artistic direction of Peter Miles, the campaign’s womenswear is styled by Vanessa Reid, who presents looks adorned with jewelry by Joseph Meo, while the menswear, featuring model Jordan Legesse, is styled by Stephen Mann. Favoring contoured imagery, cut-out bodies and looks stand out against the soft, gradated landscape referencing the environment and a bond with nature. 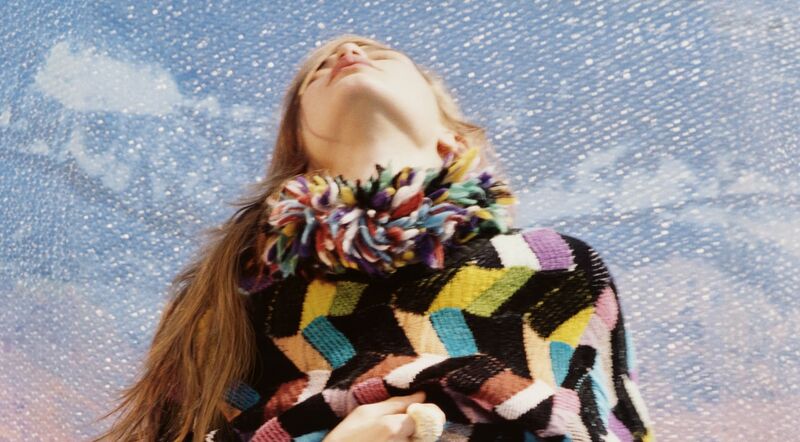 The images showcase Angela’s world and her ideal choices and ideologic creeds, on the occasion of her 20thanniversary as creative director of the house of Missoni. Ports 1961 is pleased to announce the release of the Fall Winter 2017 menswear advertising campaign. Photographed and styled by Creative Director of Ports 1961 Menswear, Milan Vukmirovic, the campaign features Jordy Gerritsma, Christopher Einla and Robbi G.
Following the win of this year's ANDAM GRAND PRIZE last month, France's most prestigious fashion award giving the mens and womenswear Parisian label 280,000 Euros, Y/PROJECT's creative director Glenn Martens launches his AW17 campaign. Continues his on-going collaborations with photographer Arnaud Lajeunie and stylist Ursina Gysi, this time in two different continents, the trio's concept was to capture friends, family members and even members of the Y/PROJECT team. "Y/PROJECT celebrates individuality...the campaign is a reflection of our ideology. It's all about individuals and moments." 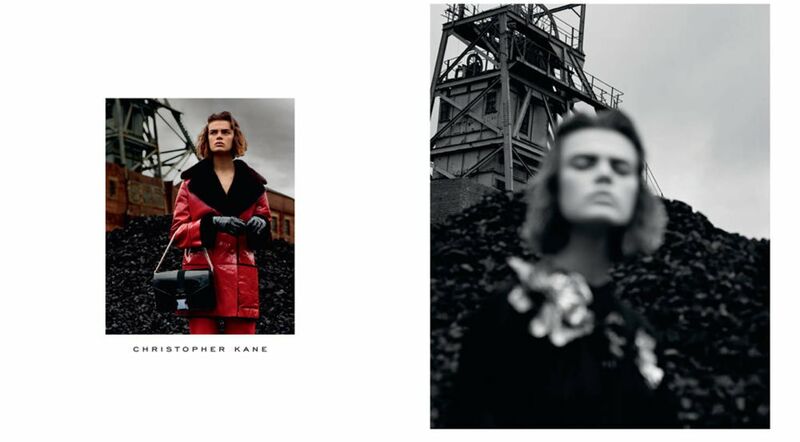 Featuring the model Cara Taylor, with photography by Alasdair McLellan, the latest Christopher Kane campaign emphasises once more the unconventional beauty and spirit of the brand. 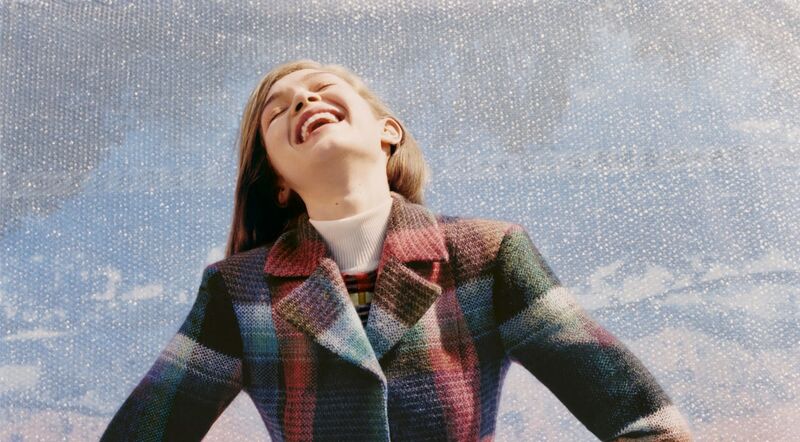 Inspired by portraiture of Viv Nicholson in the industrial settings of the North of England – alongside her determination as an ordinary girl to live an extraordinary life – the campaign similarly celebrates the idea of an idiosyncratic working class heroine. Wearing the Autumn-Winter ‘17 ‘Craft and Work’ collection, with its Gainsborough Silks and shot taffetas in workwear inflected silhouettes, the Christopher Kane girl makes her own world, has her own elegance, and doesn’t give a damn what anybody else might think of her. 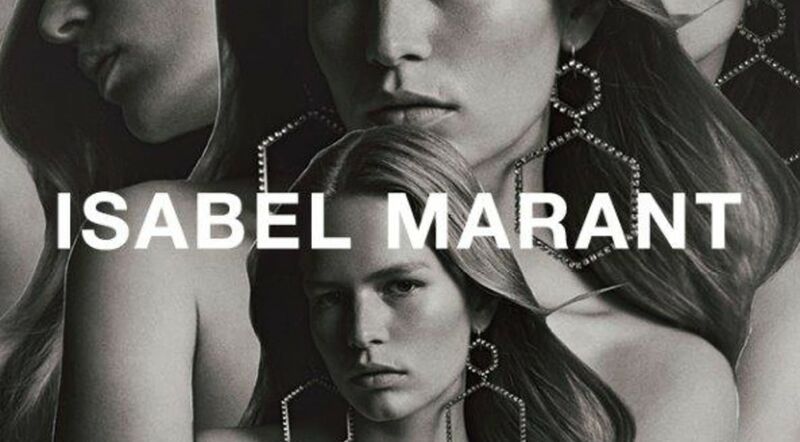 Isabel Marant is pleased to unveil its Fall/Winter 2017 advertising campaign starring Anna Ewers and photographed by Inez & Vinoodh. 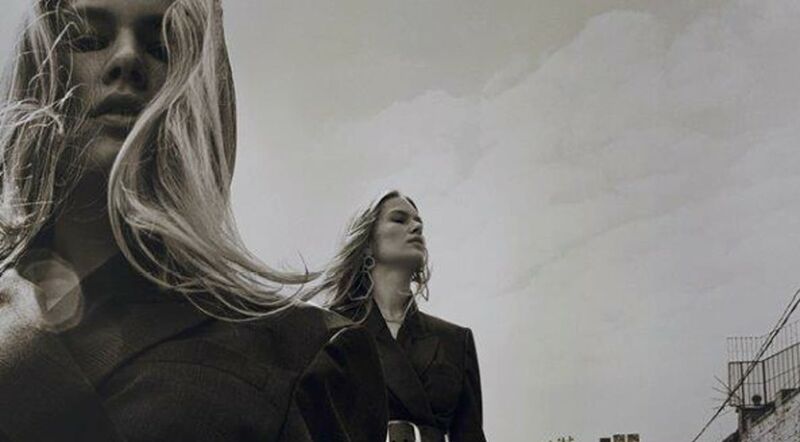 Bottega Veneta has launched its new campaign and film series for its Autumn/Winter 2017 collection : the Art of Collaboration with Todd Hido at the Lee Houses 2 in New Canaan, Connecticut. Shot in a Scottish landfill site; the images explore the issues of waste and over consumption. London, July 19, 2017. Staying true to the designer’s commitment to sustainability and responsibility, the striking new campaign in collaboration with artist Urs Fischer and photographer Harley Weir explores the issue of waste and over consumption. 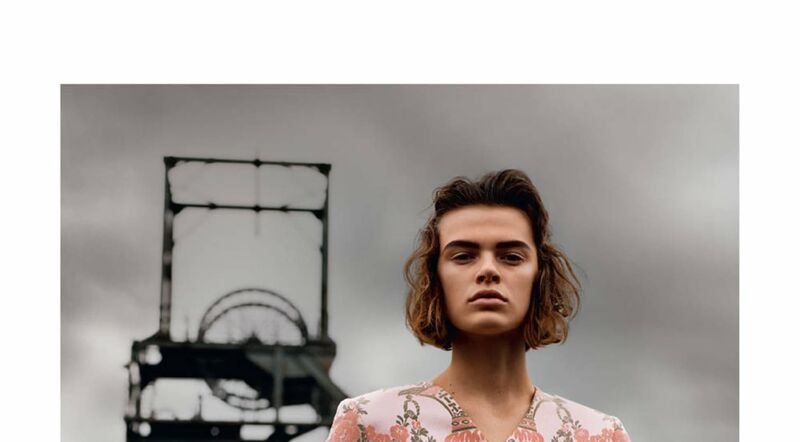 Shot amidst the man-made landscapes formed from the accumulation of discarded items on the Eastern Coast of Scotland, the images shot by Weir with illustrations by Fischer features the sense of awareness of Stella McCartney’s ethos. The backdrops of a decaying car, a vast landfill and a household refuse collection center question what we are leaving behind for future generations. Our planet has a waste and consumption problem due to “single use” and “disposable” items that are wreaking havoc to our environment. Most of these items are made of plastic which ends up in landfills. We are now producing nearly 300 million tons of plastic every year, half of which is for single use. More than 8 million tons of plastic is dumped into our oceans every year. 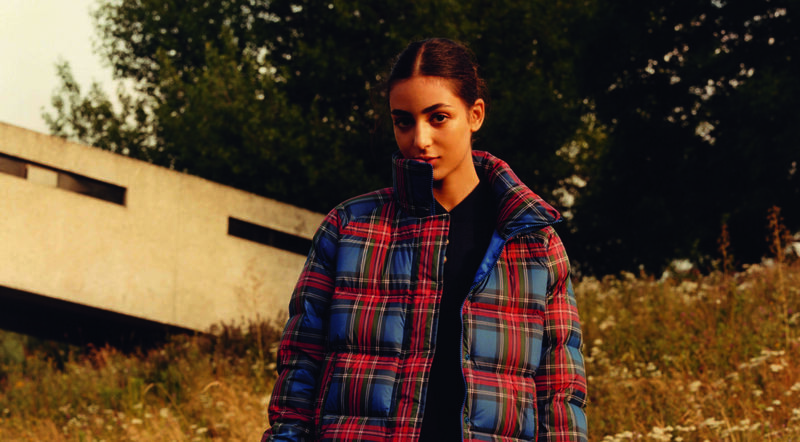 The new campaign images bring together models from the designer’s winter runway show cast; Birgit Kos, Iana Godnia and Huan Zhou in Stella’s signature designs featured amidst the harsh reality. Showcasing this season’s signature textures and shapes in tailoring, knitwear and embroidery paired with the latest velvet Falabella Box, Stella Popper bag, Sneak-Elyse and runway sneaker; the cast of women provide a striking contrast and bring forth positivity to the message. Since launching in 2001, the Stella McCartney brand has been deeply rooted in its commitments to being a responsible and modern company. As a vegetarian brand, the brand never uses leather, fur, skins or feather in any products for both ethical and environmental reasons, setting a standard for the use of alternative materials. 53% of the womenswear collections come from sustainable materials including sustainable viscose, regenerated cashmere, organic cotton and denim, recycled nylon, sustainable wood and cork, and eco alter nappa. 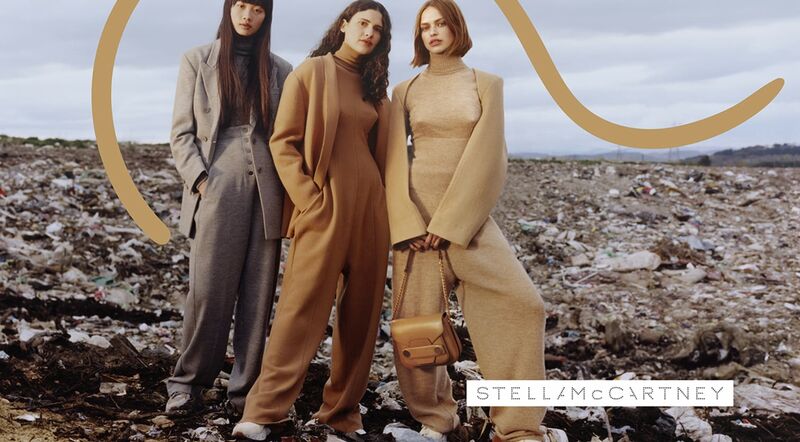 In addition to the print campaign, is a mood film that further illustrates the spirit of the collection and the environmental message which will is going live on www.stellamccartney.com, and the brand’s social media platforms today. 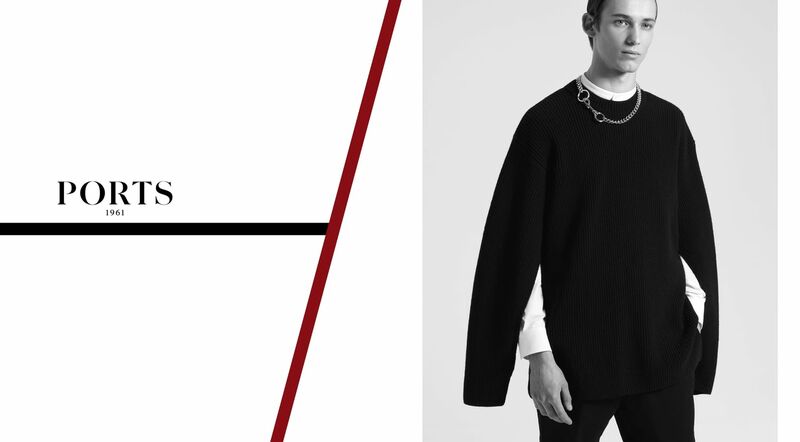 UNIQLO presents its newest collaboration with renowned British brand, JW ANDERSON. Made up of 33 items for both men and women, the collection will be available in UNIQLO stores from the 20th September. 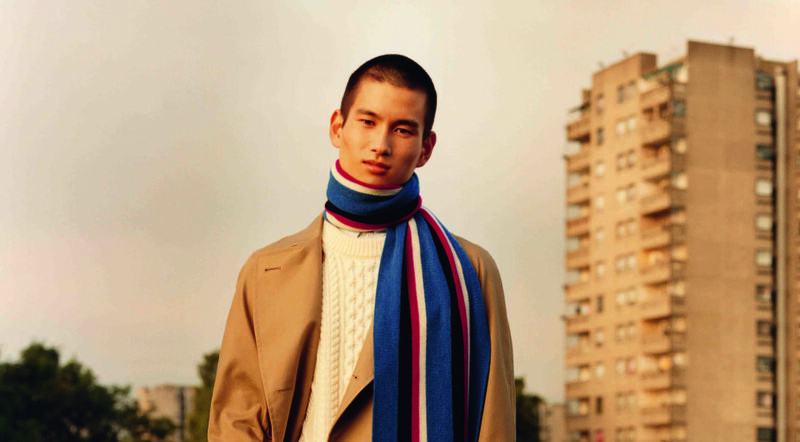 JW ANDERSON's British heritage and UNIQLO's comfortable and perfected clothes are united. 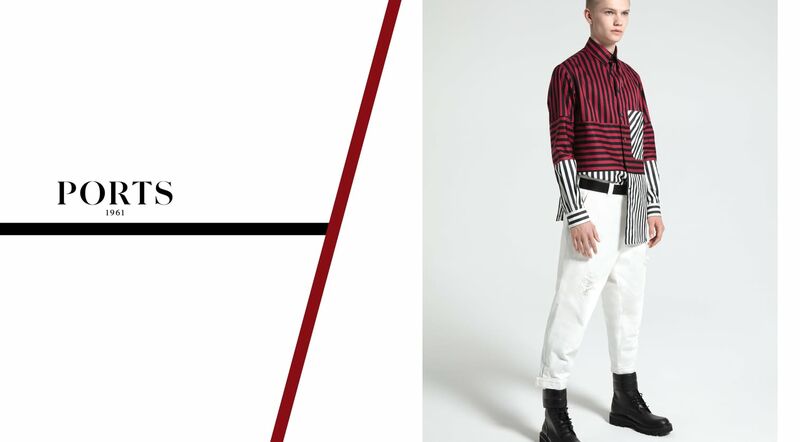 This new collection combines English classics with JW ANDERSON's graphic signature, while incorporating UNIQLO's fabrics and designs of quality, as well as its desire to create functional clothing. 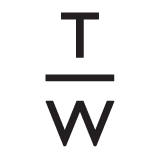 The result is a collection offering the best of both traditional and modern British style in an accessible clothing line for men and women. New energy with the same spirit: the new A|X Armani Exchange campaign shot by Sabine Villard for fall/winter 17/18 is daring, fun, plays with expressions, and breaks the mould. The choice of testimonials highlights its disruptive nature and features: Cara Delevingne, the 24 year old British actress and model with a strong, irreverent personality who is full of energy; Martin Garrix, the 21 year old Dutch DJ ranked number one in the world who knows what we want to listen to, even before we do, and for the China and Asia Pacific region - Li Yifeng, the 30 year old famous Chinese singer and actor who keeps enchanting Chinese audiences. The world-famous protagonists of the shots speak to a younger audience, create trends, and perfectly interpret the values of A|X. Cara, Martin and Li are truly free spirited, with street-wise and active personalities matching their urban soul. Their tongue-in-cheek attitude shines through in the shots; with their expressions and gestures they project themselves freely, surrendering themselves to the brand. “For this campaign, I wanted three faces capable of recounting the individualist A|X spirit in a novel, unconventional way. Three different and surprising individuals, all creative and free in their expression and whom I wanted to envelop in Armani style. 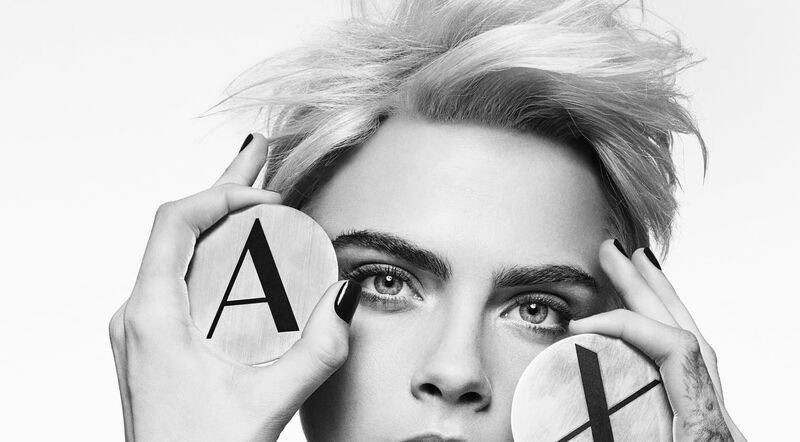 Cara Delevingne is an irreverent, chameleon-like character interpreting different aesthetics and philosophies; Martin Garrix, who is capable of making magic with music; and Li Yifeng, a multi-faceted talent who speaks to a vast audience. 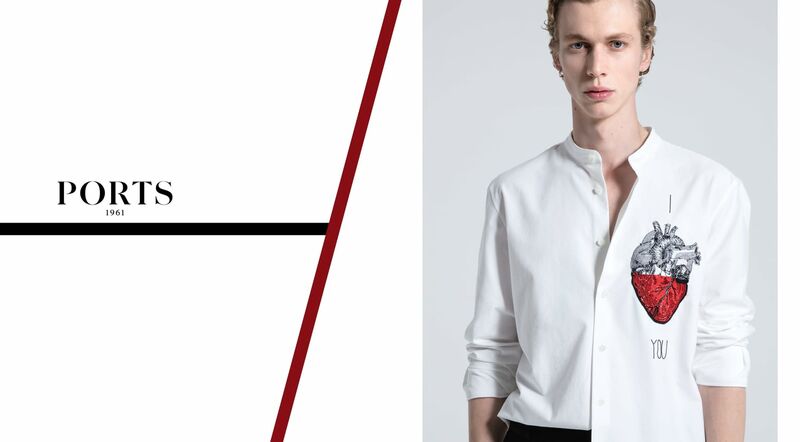 A|X is Armani style in its most metropolitan, free self just like my three testimonials,” declared Giorgio Armani. 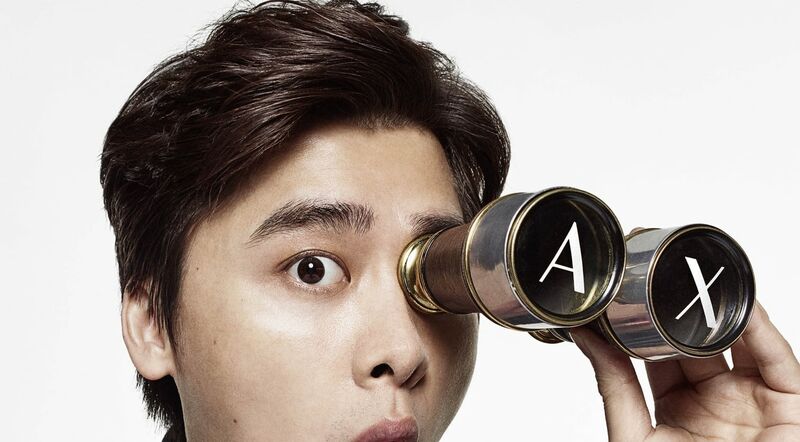 The concept of the campaign is simple, yet makes a great impact: the letters A and X of the brand’s logo are disassembled, used with an inventive and surprising ductile irreverence, and become props and games in the hands of the protagonists, such as magnifying glasses, vinyl records, rubber balls, pirate patches, and light bulbs. 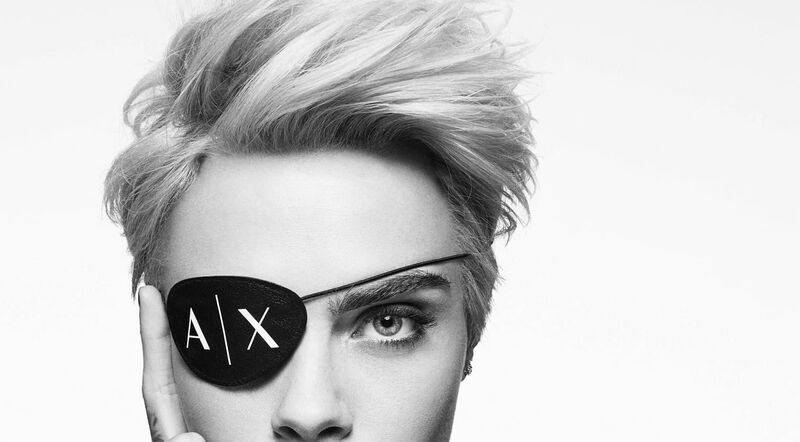 This campaign marks a fundamental step in the re-launch of A|X, which continues its expansion plan having being wholly reacquired by the Armani Group in 2014, part of its strategy to reorganise its brand portfolio. This repositioning allows the brand to re-establish itself as the ambassador of the new Italian streetwear. 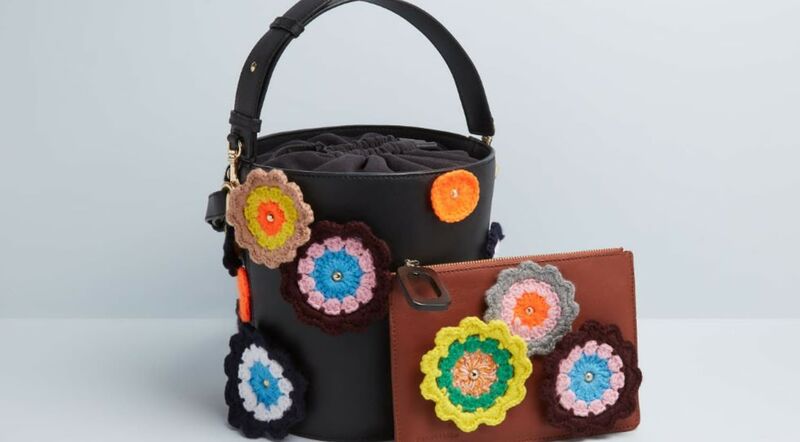 MATCHESFASHION.COM is launching with British designer JW Anderson an exclusive crochet capsule collection. The five piece capsule collection includes a coat, a sweater, a cardigan and two bags. Prices start from 446 € and are exclusive on MATCHESFASHION.COM.